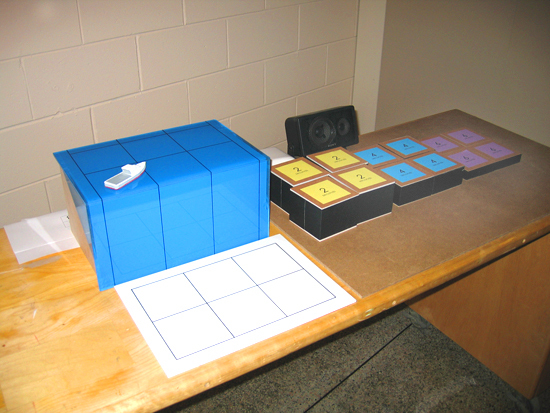 This activity was under development for the refurbishment of the permanent Seeing the Unseen exhibit at the Museum of Science Boston. The exhibit encourages visitors to use all their senses in making observations about the world, and to explore the limits of those senses. 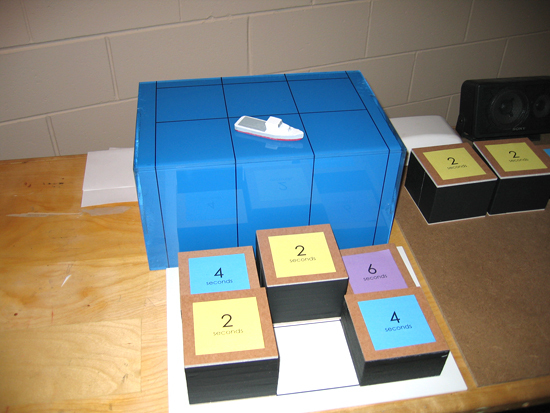 This activity, shown here in stage 1 prototyping, models single beam echo sounding, or sonar. 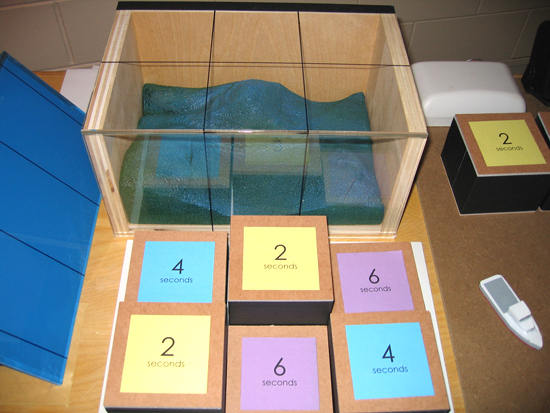 Visitors are challenged to map the model seafloor (hidden in the box). When visitors place the boat in a square on the ocean grid, they trigger an audible sonar “ping” and, seconds later, an echo. By counting the seconds between the ping and its echo and choosing the corresponding block for that grid, visitors create a map of the seafloor. It was important that visitors make the connection between a shorter time between echos and a shorter distance to the seafloor, but also higher undersea terrain. By selecting blocks and arranging them in the work area next to the activity, users create a map of seafloor contours. They then can compare their work to the contours of model. I completed content research, concept design, and evaluation with visitors for this activity; technical design and build by was by Kevin McEleney.